The Institute of Thermal Technology is organising the workshop on Carbon Reduction Technologies. 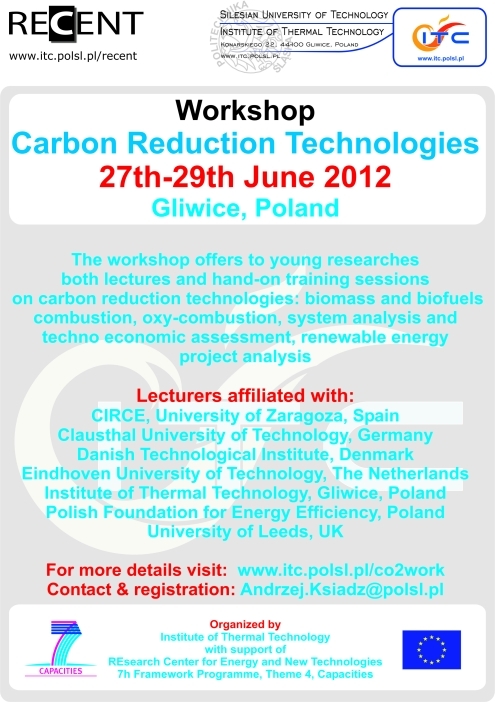 The event offered to young researchers will be held in Gliwice, Poland on 27-29 June 2012. Participation is free of charge. Lectures will be given in English. The number of participants is limited. For further information contact Dr Andrzej Ksiądz.